The Ingenic Newton is set to take the wearable technology and Internet of Things (IoT) markets by storm, with the help of Google's Android Wear. The Imagination MIPS-based JZ4775 application processor in Newton touts high performance at 1GHz, giving it an edge over many competing products. Perhaps more importantly, it has low power consumption at 260mW, a vital factor for wearables. 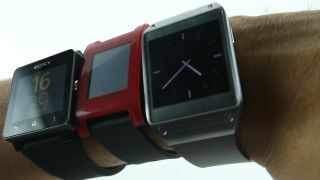 A Newton-powered smartwatch could run for more than 30 hours on a single charge. It also includes a dedicated 2D graphics engine, 256KB L2 cache RAM and up to 3GB mobile DDR3 RAM, multi-standard VPU, and a variety of sensors and expansion ports. Size is the name of the game when it comes to the Internet of Things, and Newton is roughly the size of an SD card, allowing it to be used in the smallest of devices. Intel's Edison mini-PC was also supposed to be this size, but the chip giant recently abandoned that for a larger model. Beijing-based Ingenic has already shipped 40 million units of another MIPS-based CPU called Xburst, which has found its way into all manner of devices, from tablets and e-readers to wearable technology. The wearable technology market is predicted to be worth $30.2 billion (£18.1 billion, AU$32.7 billion) by 2018, according to BCC Research. With Newton capable of running Android KitKat, and Android continuing to grow, Ingenic is sure to take a decent slice of the IoT pie.